Arlington Heights Fire Department rescue ambulance arrives to a report of a man injured after a struggle over a gun in the 300 block of North Kaspar Avenue. Arlington Heights police responded about 8:45 p.m. Friday to a report of shots fired in the 300 block of North Kaspar Avenue. Police received at least two calls down the hall from an apartment unit that shots were heard with someone saying ‘put the gun down’. 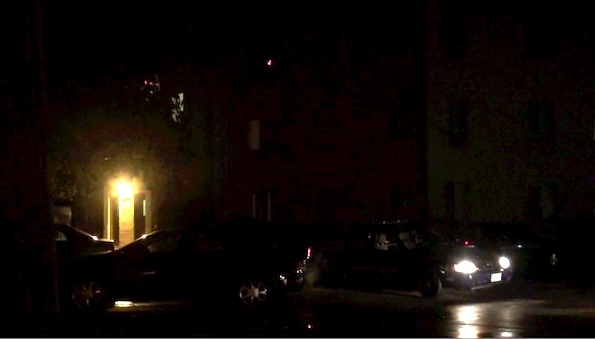 View down south side of apartment building where police responded to a report of shots fired. Police had the situation secured by 8:51 p.m. with one in custody. 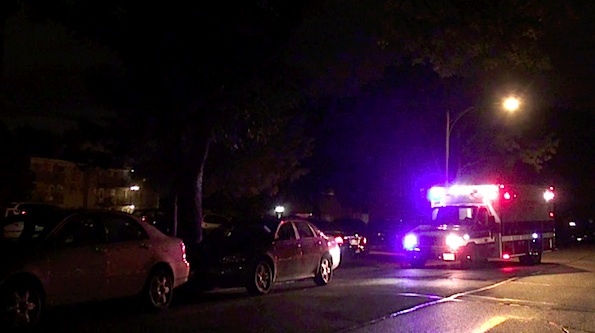 Arlington Heights firefighter/paramedics were requested to respond for a victim with injuries from an altercation. The male was transported to Northwest Community Hospital in custody. Apparently no people suffered gunshot wounds in the incident. 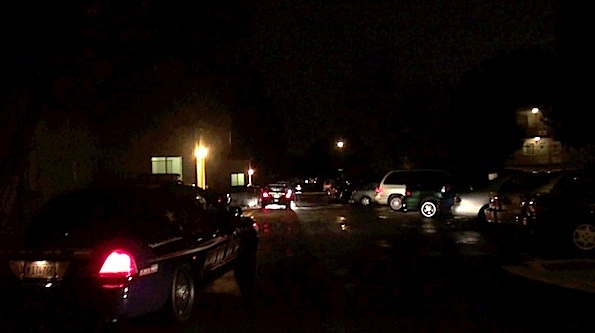 South door of apartment building where police responded to a report of shots fired. An evidence technician was called to the scene. The Cook County Bomb Squad was also called to respond related to the case — specific reason unknown.